Register now for the benchmark program! 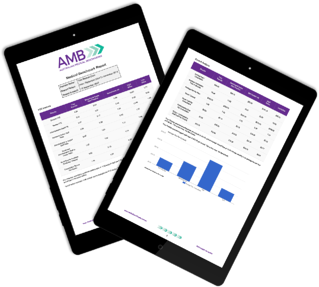 Benchmarking is a powerful tool allowing you to compare your practice against others of the same size, offering insight into the performance of competing business within the same industry. Staff are the most important resource in any practice but also the hardest to manage. Getting staff levels and productivity right can make a huge difference to your bottom line results. With Australian Medical Benchmarks, you get access to all the data you need to make those crucial staffing decisions, from establishing the optimum number of Full Time Equivalents to the most effective rostering. measurement of your practice compared to other practices of a similar size both locally and nationally. This gives you an important edge in negotiations and delivering a better final outcome. Benchmarking is an excellent tool for demonstrating to prospective doctors that yours is indeed a high performing, high quality practice. If it’s a choice between two similar practices, one that meets or exceeds Australian Medical Benchmarks standards and one that doesn’t, the decision is an easy one to make. Australian Medical Benchmarks can assist your practice in identifying areas of strength, assisting you in planning for success. The program will measure a number of Key Performance Indicators which are specific to your practice, focusing on resourcing, profitability and performance. The single biggest issue for any doctor when buying or selling a practice is to establish its true value. While the value of the physical premises and equipment is pretty straightforward to ascertain, putting a value on more intangible things like goodwill can be tricky. 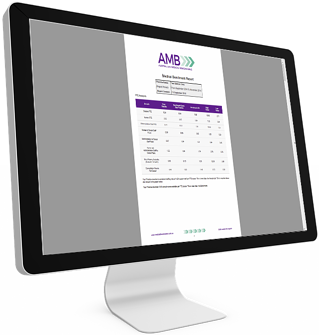 Australian Medical Benchmarks will provide you with a comprehensive evaluation of your practice, giving you a better understanding of your overall value. Have you met our experienced team? Why use this benchmarking tool? Why not take a look at our free demo to see first hand the features and capabilities of the program? "I find the information provided is excellent and really gives me a good indicator of how my practice is performing against others...I would definitely recommend Australian Benchmarks as the reports provide excellent financial and business comparisons of your performance." "We have been using AMB for 18 months and found it both simple to use and very beneficial. Particularly valuable is the ability to obtain industry comparisons of key performance indicators to other medical practices, such as patients / hour and income per hour."